Jamaica. Nepal. Rome. Wherever your flights of fancy take you, make sure you keep this handy kit of products close by. Formulated with Italian truffle extract and other botanical ingredients, they help keep your complexion looking moisturized, fresh and youthful, no matter the place or the time zone. It's everything you need in one set, so you can just keep thinking about your next glorious destination. Ingredients: Aqua, Coco-Caprylate, Olea Europaea Oil Unsaponifiables, Cetearyl Alcohol, Glyceryl Stearate, Potassium Palmitoyl Hydrolyzed Rice Protein, Dimethicone, Cyclopentasiloxane, Polymethylsilsesquioxane, Sodium Stearoyl Glutamate, Tuber Melanosporum Extract, Pullulan, Algae Extract, Hydrolyzed Hibiscus Esculentus Extract, Paullinia Cupana Extract, Potassium Azeloyl Diglycinate, HDI/Trimethylol Hexyllactone Crosspolymer, Helianthus Annuus Seed Oil, Daucus Carota Sativa Root Powder, Panthenol, Sodium Hyaluronate, Phenethyl Alcohol, Sodium Polyacrylate, Propylene Glycol, Glycerin, Tocopherol, Glyceryl Caprylate, P-Anisic Acid, Parfum, Oryza Sativa Powder, Disodium EDTA, Coumarin, Linalool, Dextrin. Ingredients: Aqua, Aloe Barbadensis Leaf Juice *, Dimethicone, Cyclopentasiloxane, Coco-Caprylate, Polysilicone-11, Glyceryl Stearate, Cetearyl Alcohol, Polymethylsilsesquioxane, Potassium Palmitoyl Hydrolyzed Rice Protein, Hdi/Trimethylol Hexyllactone Crosspolymer, Sodium Stearoyl Glutamate, Tuber Melanosporum Extract, Butyrospermum Parkii Butter *, Palmitoyl Hexapeptide-19, Helianthus Annuus Seed Oil, Boron Nitride, Panthenol, Phenethyl Alcohol, Sodium Polyacrylate, Propylene Glycol, Glyceryl Caprylate, Sodium Hyaluronate, Tocopherol, P-Anisic Acid, Sodium Phytate, Parfum, Coumarin, Phenoxyethanol, Linalool. Ingredients: Aqua (Water), Hamamelis Virginiana (Witch Hazel) Leaf Water, Salvia Officinalis (Sage) Extract, Citrus Medica Limonum (Lemon) Peel Extract*, Rosa Canina Fruit Extract*, Citrus Aurantium Amara (Bitter Orange) Flower Extract*, Tuber Melanosporum Extract, Rosmarinus Officinalis (Rosemary) Leaf Extract*, Cucumis Sativus (Cucumber) Fruit Extract*, Lavandula Angustifolia (Lavender) Flower Extract*, Calendula Officinalis Flower Extract*, Glycerin, Parfum (Fragrance), Sodium Lactate, Sodium Pca, Proline, Niacinamide, Inositol, Panthenol, Disodium Edta, Phenoxyethanol, Polysorbate 20, Ethylhexylglycerin, Coumarin. Ingredients: Aqua, Coco-Caprylate, Olea Europaea Oil Unsaponifiables, Cetearyl Alcohol, Glyceryl Stearate, Potassium Palmitoyl Hydrolyzed Rice Protein, Dimethicone, Cyclopentasiloxane, Polymethylsilsesquioxane, Sodium Stearoyl Glutamate, Tuber Melanosporum Extract, Pullulan, Algae Extract, Hydrolyzed Hibiscus Esculentus Extract, Paullinia Cupana Extract, Potassium Azeloyl Diglycinate, HDI/Trimethylol Hexyllactone Crosspolymer, Helianthus Annuus Seed Oil, Daucus Carota Sativa Root Powder, Panthenol, Sodium Hyaluronate, Phenethyl Alcohol, Sodium Polyacrylate, Propylene Glycol, Glycerin, Tocopherol, Glyceryl Caprylate, P-Anisic Acid, Parfum, Oryza Sativa Powder, Disodium EDTA, Coumarin, Linalool, Dextrin. Coco-Caprylate (Coco-Caprylate), Caprylic/Capric Triglyceride (Caprylic/Capric Triglyceride), Olea Europaea Fruit Oil* (Olea Europaea (Olive) Fruit Oil), Prunus Amygdalus Dulcis Oil (Prunus Amygdalus Dulcis (Sweet Almond) Oil), Simmondsia Chinensis Oil (Simmondsia Chinensis (Jojoba) Seed Oil), Tocopheryl Acetate (Tocopheryl Acetate), Helianthus Annuus Seed Oil * (Helianthus Annuus (Sunflower) Seed Oil), Tuber Melanosporum Extract (Tuber Melanosporum Extract), Magnesium Stearate (Magnesium Stearate), Behenyl Alcohol(Behenyl Alcohol), Sodium Lauroyl Glutamate (Sodium Lauroyl Glutamate), Parfum (Parfum), Limonene (Limonene), Daucus Carota Sativa Root Extract * (Daucus Carota Sativa (Carrot) Root Extract), Aqua (Aqua), Calendula Officinalis Extract * (Calendula Officinalis Flower Extract), Bht (Bht), Hydroxyisohexyl 3-Cyclohexene Carboxaldehyde (Hydroxyisohexyl 3-Cyclohexene Carboxyaldhyde), Alpha-Methyl Ionone (Alpha-Isomethyl Ionone), Hydroxycitronellal (Hydroxycitronellal), Coumarin (Coumarin), Cinnamal (Cinnamal), Linalool (Linalool), Geraniol (Geraniol), Eugenol (Eugenol). Skin & Co make superior products! My skin looks amazing. I love the eye cream as well as the cleanser. Great Travel or Try-me Set! 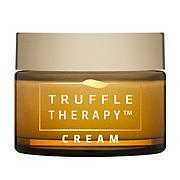 I love the Truffle Therapy serum and cream and wanted to try out some other Skin & Co. items. This set was just what I was looking for. The toner, face and eye creams are great trial / travel sizes. The facial oil, which is wonderful, seems closer to a full size product. If you like any Skin & Co. products, give this set a try. Makes my skin feel and look amazing. I only wish it came in bigger bottles. Love the facial oil best. My skin drinks it up and I will be using this for the winter. I put a little on my neck and that area is improved. It becomes supple and the lines diminish, giving my neck a smooth, youthful glow. The cream and eye concentrate jars are tiny, more like samples, but again, my skin loves the added moisture. 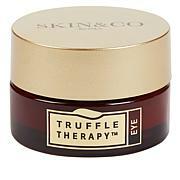 Wasn't to keen with the eye concentrate since the facial oil does it all. What a fabulous line ! so glad I tried it . My skin is dry and sensitive , but this products just sink into my face and neck . Will definetly keep using it.